Adagio is a luxury guest house with 9 en-suite bedrooms. It is situated in a quiet suburb against the slopes of the Magaliesberg mountain range in Pretoria. Our main aim is to provide comfort, tranquillity and privacy. We are 15 minutes or less away from large shopping malls, a variety of restaurants, Rovos Rail, the Blue Train, the University of Pretoria, Onderstepoort, the University of South Africa, several embassies and a number or large hospitals. Tours and transport can be arranged on request. 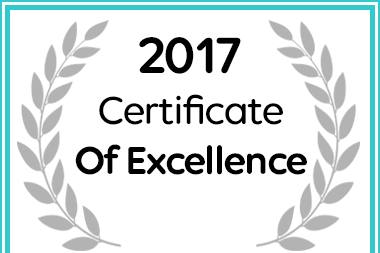 In recognition of exceptional service Adagio Guest House in Pretoria (Tshwane) received a 2017 Certificate of Excellence.